Identity has evolved. Businesses today need to securely and easily connect their employees to the tools they need to be productive, from anywhere and from any device. Businesses also need to provide seamless access for suppliers, distributers, partners and customers. Identity is critical to serving those needs as the modern security perimeter for IT. Analysts agree, forecasting that enterprise purchases of Identity Management as a Service (IDaaS) offerings will double over the next four years. 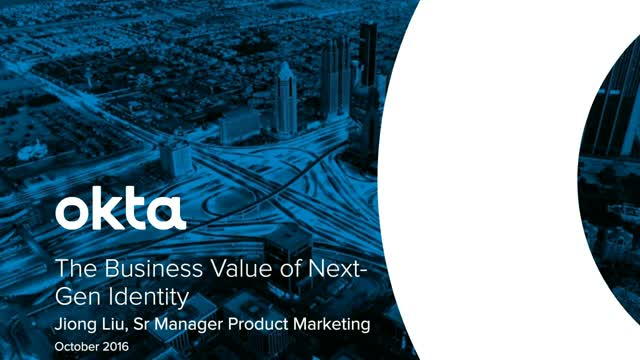 Watch this webinar to understand the business value of adopting a modern, cloud-based identity solution, from decreasing IT costs to securing your environment, and enabling your business to grow faster.